Covering 160 miles of Oregon coast travel: Seaside, Cannon Beach, Manzanita, Nehalem, Wheeler, Rockaway, Garibaldi, Tillamook, Oceanside, Pacific City, Lincoln City, Depoe Bay, Newport, Wadport, Yachats & Florence. 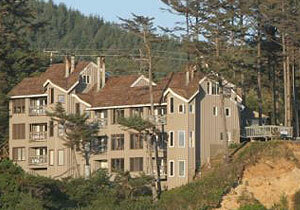 Ecola Creek Lodge, Cannon Beach. In a quiet neighborhood, this longtime coastal landmark boasts a koi/lily pond, spacious lawns, gardens, stained glass windows and wireless internet – all in a slightly Victorian vibe. 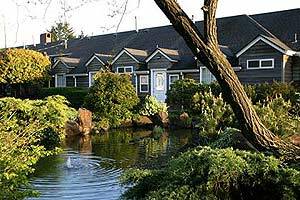 With some rooms pet friendly, you are a couple minutes walk from town and close to the beach. Guests also get access to a full recreational and exercise facility. Wild bunnies provide an adorable addition to your stay, making for an especially serene coastal experience. 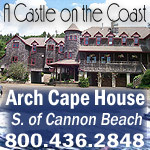 208 5th St. www.cannonbeachlodge.com. 800-873-2749.